[/caption] Recent research on lunar samples has shown that the Moon may be made of more Earth than green cheese — if by “green cheese” you mean the protoplanet impactor that was instrumental in its creation. 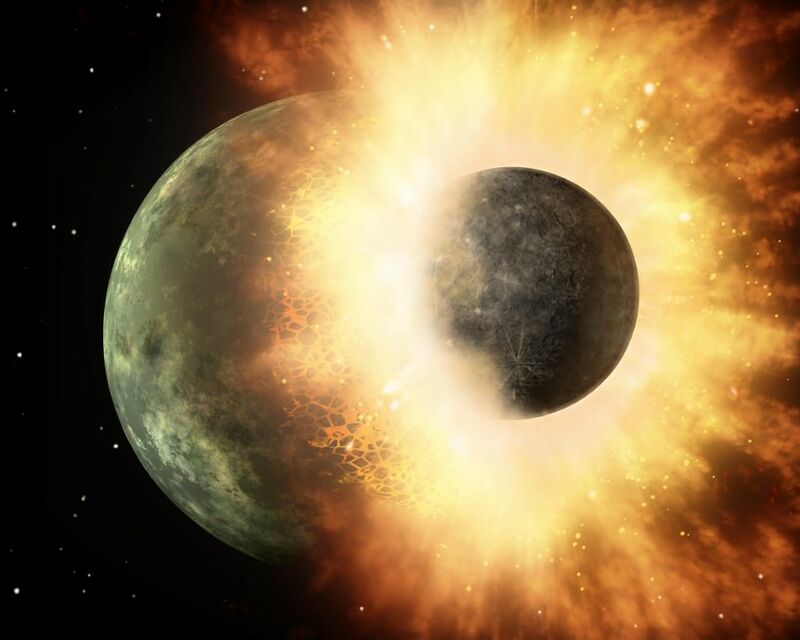 It’s an accepted hypothesis that Earth’s moon was created during an ancient, violet collision between our infant planet and … Continue reading "What’s the Moon Made Of? Earth, Most Likely."